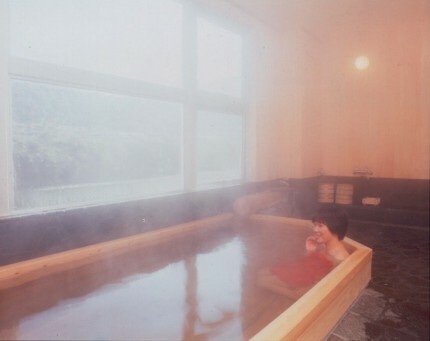 Ryujin Onsen is one of Japan's top three “Beautiful woman hot spring”. Please have a real feel of the high quality spring on your skin. 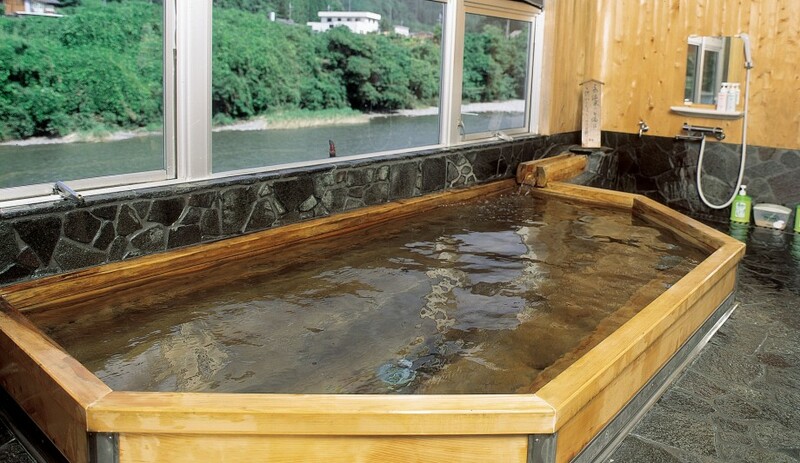 The bathtub of the Big Bath in Ryokan Marui was built using cypress wood. It is a good place for melting away the faigue of travel. Carbon Sodium hot spring has the ability to make skin soft and gentle. You can enjoy the nice scenery of the Hidaka river's clear stream and the mountains of Ryujin from the window. Please enjoy your relaxing time. chronic skin disease, burns, neuralgia, liver disease, diabetes, gastrointestinal disorders and others. Body wash, Shampoo, Conditioner, Soap, Comb, Razor, Hairdryer, Bathroom scale. Male bathroom: Cleansing foam, Shaving foam, Aftershave lotion, Hair tonic. “Onsen and Meal” plan is availiable for the non-staying guests. Please note that depending on the room availiability、 this plan may not be avilable at all times. Reserve at least 3 days in advance. Holiday bookings are available. Please contact us for more detail.